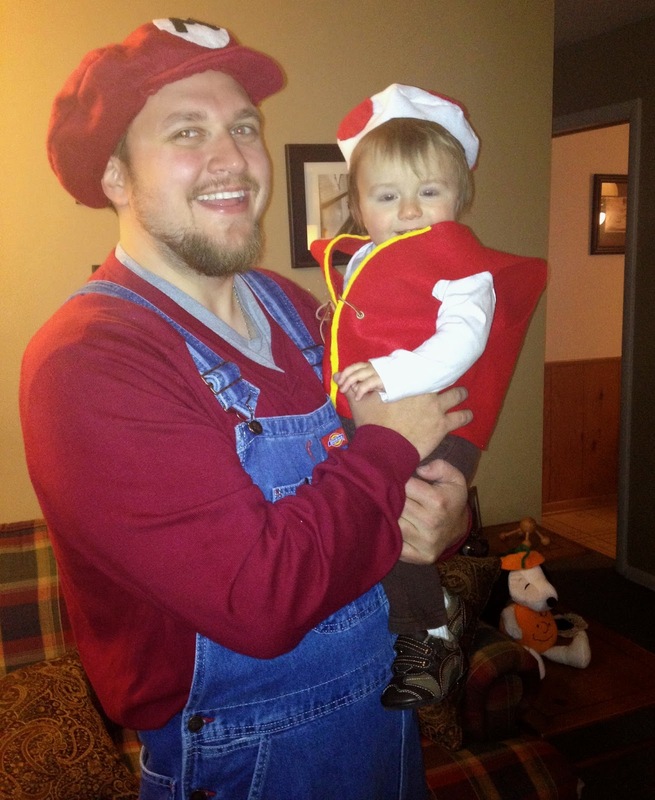 As promised, here are some pictures from our Halloween! If you're FB friends or follow me on Instagram you've likely already seen these, but here they are! 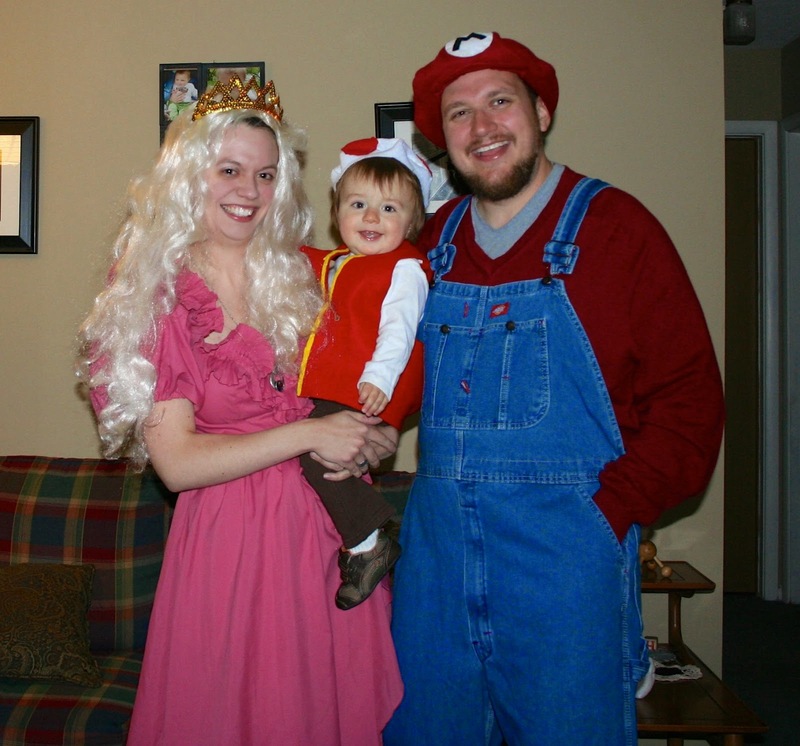 Princess Peach, Mario and Toady! We had a blast putting these costumes together. As I mentioned earlier this week, Nate sews and I don't, so he sewed up the hat for Oliver. I found my dress, Oliver's vest and Nate's shirt at Arc's Value Village and we already had the wig and overalls. We took Ollie trick or treating at both of his grandparents houses and then it was already getting past his bedtime so we pretty much brought him home and put him to bed. Then we ate our dinner and watched Shaun of the Dead because apparently I wanted to watch more of a farce than horror type movie. I adore that movie though, it's too cute. 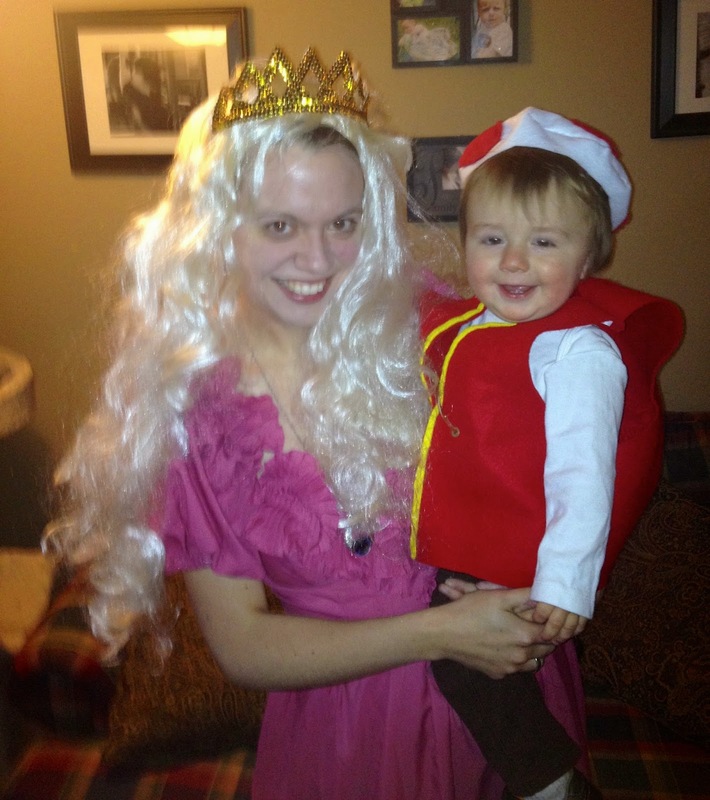 I know he'll never remember his first Halloween and we went through a lot of effort to basically take him two places in an hour's time, but it was still important to me that we did it and I'm so glad we'll have pictures to show him when he's older. I already have ideas for next year's Halloween! And just like that we're into November. It's one of my favorite months of the year - and I may be biased because it's my birthday month, but I still love it. Thanksgiving is one of my favorite holidays. I'll be doing some style challenges on Instagram as usual this month and I'm also embarking on another shopping ban for myself - mainly due to my birthday and Christmas coming so soon. And then there's this little thing of Oliver's birthday coming up in just about a month - holy cow. There will be some planning for that going on! There are a few things I'd love to just forget about that happened in October, but it wasn't a horrible month overall. I do know that I love a new month for a fresh new start, so onward and upward!